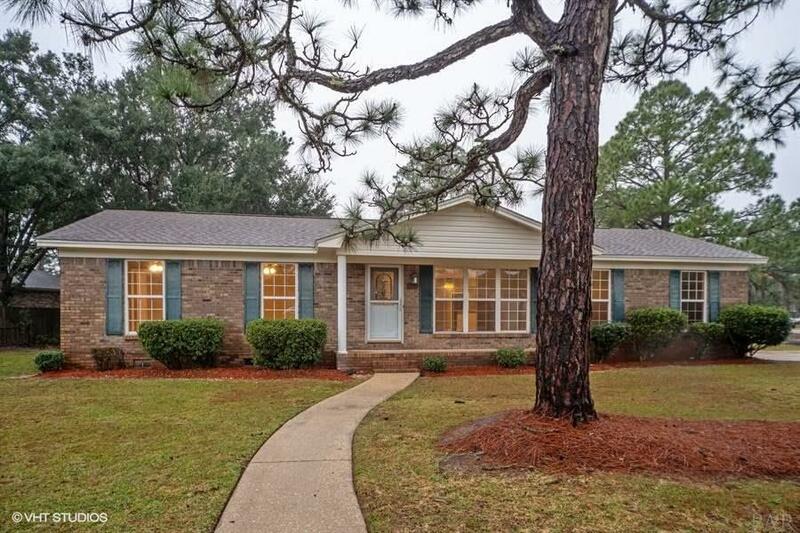 ~Move-In-Ready home just minutes from Navarre Beach~ This great 4 bedroom 3 bath Split Plan home is located with easy access to Hwy 87 and Hwy 98, shopping and restaurants. Low maintenance tile floors flow throughout the Living Room, Dining Room and Kitchen area. The bright Kitchen features a center island, oversized pantry and new stainless appliances. The Sunroom (not included in the square footage) is filled with windows and offers access to 2 back decks to watch the kids play. The Master bedroom boast a large walk in closet and spacious garden tub shower. The opposite side of the home has a full bath with easy access for guest and the two front bedrooms. Your favorite teen will love the 4th bedroom with it&apos;s own en-suite full bath. The dimensional shingle roof and complete HVAC unit have been recently replaced, the entire home has been freshly painted, and bedrooms have new carpet. With up to 3% in closing cost assistance available to qualified buyers through HomePath Ready Buyerâ¢ why wait another minute to see this home!